The mobility sector has a lot of potential to bring connectivity into the vehicle, making it an interesting domain for developers of IoT applications. The researchers at the Bosch IoT Lab are working on various topics with the aim of bringing the mobility domain and the IoT closer together. Timo Gessmann, Director of the Bosch IoT Lab, provides an overview of the research he and his colleagues are conducting. STEFANIE KOWALLICK: At the Bosch IoT Lab, you are working on a variety of research topics in connection with mobility. Your goal is to leverage the car as a sensor. Can you explain what that means? Timo Gessmann is the director of the Bosch IoT Lab. 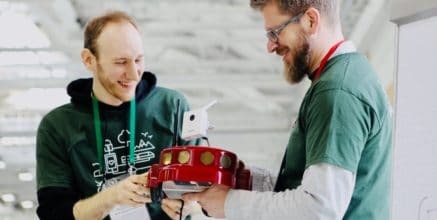 Together with his team he is working on IoT-enabled new business fields with a focus on mobility, energy and health as well as IoT business models, artificial intelligence and blockchain technology. TIMO GESSMANN: The IoT is all about connecting things. Nowadays there are many sensors in a car that can measure temperature, vehicle speed, how much pressure you put on the brakes, and much more. 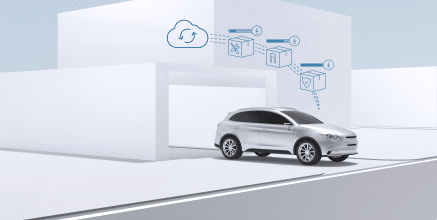 With the help of the IoT it is possible to measure and analyze relevant car data. Car sensor data is the key to providing driver assistance, improving safety, and making driving more sustainable. We apply the principle of “privacy by design” in our IoT projects. In other words, data is encrypted and transmitted anonymously. What connected mobility research topics are you currently working on? We are focusing on three research topics. The first is eco-driving. We want to learn more about peoples’ driving behavior and figure out how drivers can be motivated to change their habits and drive more eco-responsibly. The goal is to reduce fuel or energy consumption by analyzing data that is available in a car. We can then support drivers by providing personalized eco-feedback. The second topic is safety on public roads or more precisely accident hot-spot warnings and prediction. We are researching ways to prevent traffic accidents. We aim to support drivers with new services and new functions to improve road safety. The third is personalized mobility and driver health & well-being. The focus here is on improving driver and passenger comfort by enabling the car to adapt to their needs. In each of these fields, we are cooperating with universities in order to bring the latest scientific research knowledge together with the practical topics Bosch is currently working on. 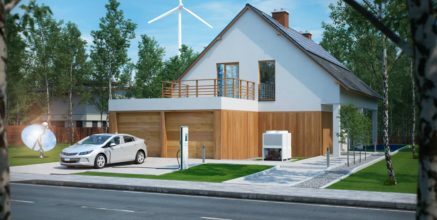 What is eco-driving all about? We are working together with psychologists from ETH Zurich and the University of St. Gallen. Our research can be summed up in the question: “How can we improve a car and its infotainment system to motivate drivers to behave more eco-responsibly?” So, from a scientific standpoint it’s all about behavioral change. This in turn depends on personal motivation. We are looking at the factors that influence vehicle energy consumption and what can be done to persuade individual drivers to adopt a more eco-friendly approach to driving. How do you motivate drivers to drive more eco-responsibly? You can’t change a driver’s behavior simply by showing them their current energy consumption. Today, cars give you an indication of how much energy you use per 100 kilometers. This is usually displayed as plain text on the dashboard, which is not motivating. 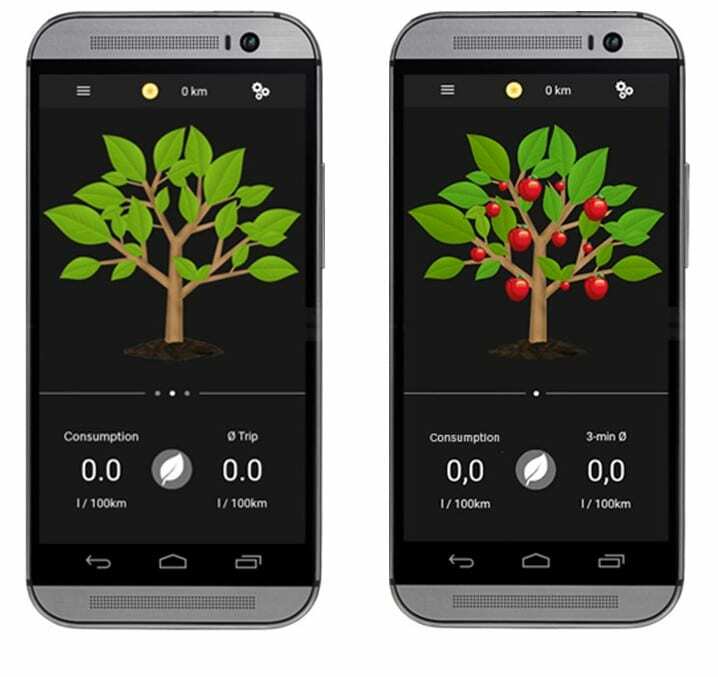 We therefore developed a smartphone app that displays a so-called “eco-tree.” If you drive eco-responsibly, the tree grows and produces red apples. If you don’t drive eco-responsibly, the tree stops growing and the apples fall from the tree. In this way, we want to give drivers more visual feedback. The idea behind our app is comparable to a fitness tracker that monitors your activity, gives you direct feedback and hopefully motivates you to take more exercise. We developed several apps with the help of psychology experts. Then we tested these apps in the field with real-life drivers, who in total drove close to 1 million kilometers in Switzerland. We found out that the eco-tree is much more motivating for a driver than plain text, for instance. 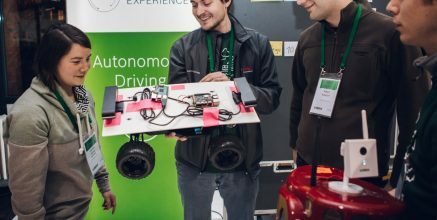 How is the eco-driving app connected to the car? In our field studies in Switzerland we used a so-called OBD dongle. This device is connected to the car and collects data on the vehicle’s speed and fuel consumption, among other things. This data is then transmitted to our smartphone app which provides feedback to the driver. The Bosch Internet of Things Lab has been formally opened in September 2012. 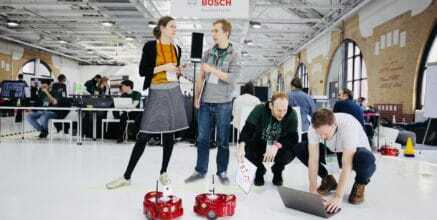 It is a cooperation between the University of St. Gallen, ETH Zurich and the Bosch Group. 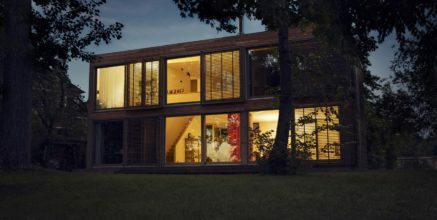 The Bosch IoT Lab is exploring new IoT-enabled product and business fields with a focus on mobility, sustainable living and working, blockchain technology, and IoT business models. Let’s talk about accident-free mobility. Can you give a general overview of this topic? We asked ourselves: “How can the IoT help reduce accidents on public roads?” When an accident happens, the police normally write up a report. In Switzerland this report data is available in digital form in a database held by the Swiss public road authorities. We were given access to this data, which covers around 270,000 accident reports over a period of six years. With the help of artificial intelligence, we analyzed them and found out that there are locations in Switzerland where the frequency of accidents is higher than average. We call these locations “accident hotspots”. We then fed the accident hotspot data into our smartphone app, called Avertu. Based on this data, the app warns drivers if they are in the vicinity of such an accident hotspot. Are there use cases apart from driver warnings where the accident-free mobility concept can be applicable? Yes, the data can also be used to improve the public infrastructure. In St. Gallen, for example, we detected a high number of accidents at a particular intersection. We asked the local traffic department to take a closer look at this intersection. They found out that the traffic lights were switching too fast. The city then changed the timing of the traffic lights and therefore improved the infrastructure to make traffic safer. This shows that there is potential to collaborate with different interest groups. The third research topic you are working on is personalized mobility and driver health & wellbeing. Can you tell us something more about this topic? It doesn’t take much intelligence to realize that car data can provide insights into the technical aspects of driving. Think about mobile diagnostics: Your car can, for instance, tell you when the next oil change is due. However, in our view, the technical aspects are just one part of a wider issue. It’s also important to take the driver and the passengers into consideration. They are an essential part of the system and we want to optimize the collaboration, so to say, between a driver or a passenger and the car. One of our current research projects aims to find out how cars can be better designed to accommodate the needs of the driver and passengers. 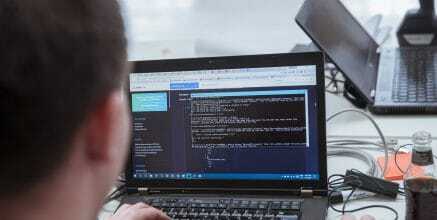 We want to develop a service that takes the user’s individual requirements into account. This could be in the form of setting the right temperature or providing you with the infotainment offering you desire. That’s what we call personalized mobility. What specific aspects are you are dealing with as part of this topic? Currently, we are conducting research on the stress level of drivers. The goal is for the car to detect your stress level and respond in a way that will reduce it. Building on this, the logical next step for us is to take the general health status of the driver into consideration and support the driver in critical situations. How do you approach detecting the stress level of drivers? We are collaborating with universities and medical professionals. In our field tests we used wearables that can be attached to the wrist or arm. We also measured drivers’ blood pressure and vehicle parameters such as speed, acceleration and deceleration. Then, we tried to find correlations in the data we gathered, to find out which driving situation is stressful for a specific person. Are there specific topics you are working on regarding drivers’ health? A relatively new topic is diabetes, where we are collaborating with a Swiss hospital. We want to find out if a car can provide insights into the blood sugar level of the driver. The driver could then be informed to take a break to take their insulin medication. It’s ongoing research we started a few months ago. All our research projects are based on the “privacy by design” approach and conducted in close collaboration with the ethics commission. Do you already have ideas how car data can provide insights into the blood sugar level of the driver? The participants in our tests measured their blood sugar level in the same way as usual. We then compared the measured blood sugar level to the car data. We used the sensor data to look for correlations. We noticed that low blood sugar levels appear to have an impact on vehicle speed and steering angle. And there may be other correlations between the driver’s blood sugar level and the car data, but it’s too soon to tell because this research is still at a very early stage. What next steps do you have planned concerning personalized mobility solutions and driver health monitoring? We want to conduct more field tests, since there are still many unanswered questions. We also want to collaborate with OEMs and other external partners. 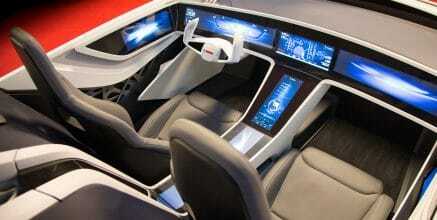 We cannot influence the design of a vehicle interior by ourselves. By collaborating with an OEM, we would be able to make changes to the interior of a car to make it more comfortable and safer for drivers and passengers.